So why would you choose Absolutely Water as your preferred supplier? Our company was was established in 1999 with now, a 13 Year track-record. We import and distribute single filters, distillers, dispensers, domestic & light commercial reverse osmosis water purification systems and softeners. We carry ample stock of all replacement parts of the products we distribute. We carry extensive warranties and are able to maintain them. Our technicians are capable of performing any maintenance required on any of our products. We are proud of the fact that our company is financially stable and totally debt free. We are actively involved in the day to day running of the business. Collectively we have decades of experience in the water purifying industry to share with you. We are expanding our network and can service any client anywhere in Southern Africa. We are continually advancing making use of the latest technologies available. With extensive knowledge, we provide new agents, distributors and franchisees training in water pollution, the latest water treatment technology and on all our products. With extensive knowledge, we provide new franchisees training in business, finance & systems management. Be part of the most exciting brand name in the water industry. We have been doing water purification since 1999. We own various brand names of which Absolutely Water and Perfect Water are our primary brands. 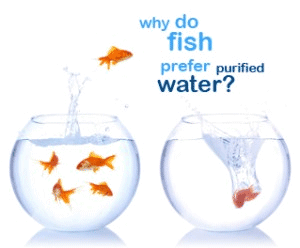 Absolutely Water are the leading purification company in South Africa. With unsurpassed knowledge, we can provide excellent solutions to customers. We are the sole distributors of PurePro Systems in Sub Sahara Africa. With new products we also import a full range of spares to support new solutions. We have a dedicated team of highly effective people ready to support you in everything you need.